Beautiful wrap-around blouse from ONLY. The top is a great fit and has lovely details – perfect for both everyday wear and parties! 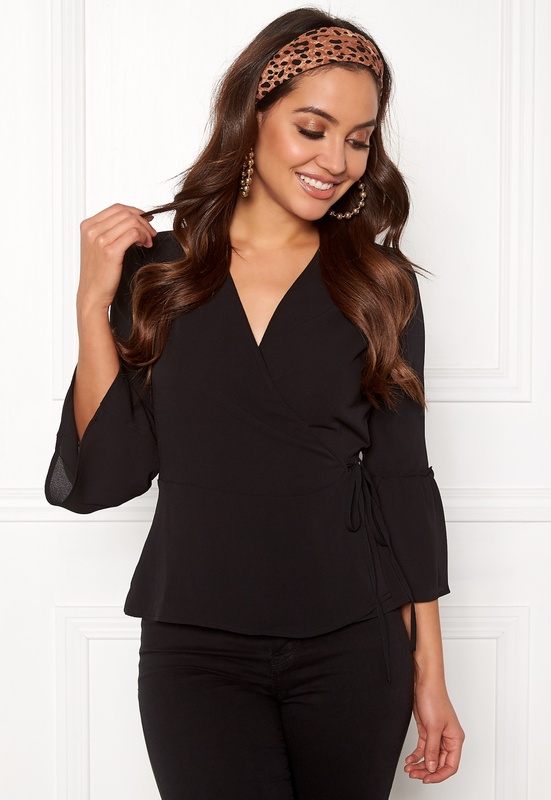 - Nonstretch, woven quality - Wrap top with tie waist (non-detachable) - 3/4 sleeves - V-neck - Frills at wrists and bottom hem Length 60 cm, bust 54 cm in size 36. The model is 170 cm tall and wears a size 36. Machine wash at 30 degrees.